I decided to brighten up my day with this stunning emerald green 'Gwen' glitter from Violet Voss and some of the lovely purple shadows from my Crown Brush 'Smoke It Out' palette. 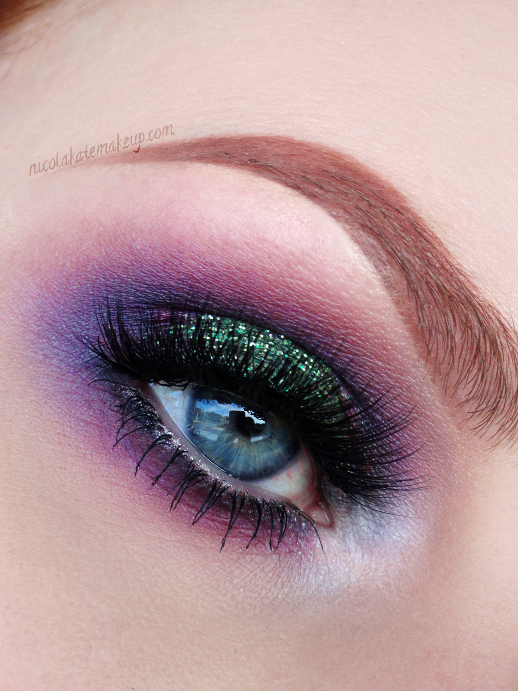 Seeing as greens and purple is a fun and brave combination, I decided to finish off the look with a softer lash style. I used 100% mink lashes (cruelty free, of course!) from one of my favourite premium lash brands -Sweetheart Lashes - to bring this look together.